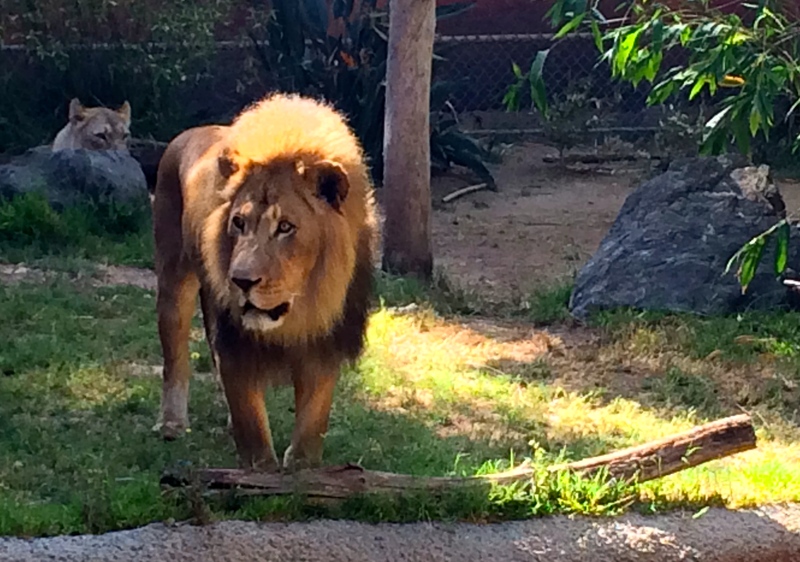 Zoo blues | Real in L.A.
We all know there are captive wild animals who live in horrible conditions. Let’s take them out of the discussion right now; nobody in their right mind thinks that’s okay. But what about the thousands of wild species held by keepers with the best of intentions? If you’re looking for a definitive answer, you can stop reading now. I don’t have one. But I visited the Los Angeles Zoo & Botanical Gardens a few weeks ago and have these observations. If I had stopped at the lion habitat only, I would agree with the letter-writer. Despite being newly refurbished, the exhibit held a bored lion who paced around and around the too-small enclosure, mounted his mate, then paced some more. Did the otters go AWOL because they were dissatisfied with their new digs? Or are they simply rascals whose impulsive curiosity led them to test their limits? I’d vote for the latter. Then there’s the Red Ape Forest where the beautiful, smart orangutans brachiate along artificial vines strung high over a grassy landscape through which a brook flows. Eloise is one of its residents. She was brain-damaged at birth and lives with a cerebral palsy-like disorder. Eloise probably would have died in the wild. 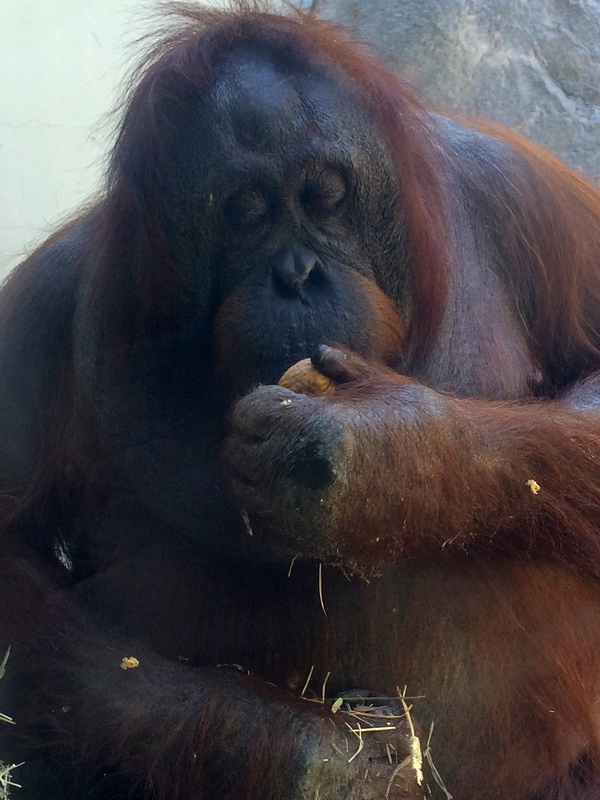 At the zoo, she receives Rolls Royce medical care that has kept her alive and mobile. 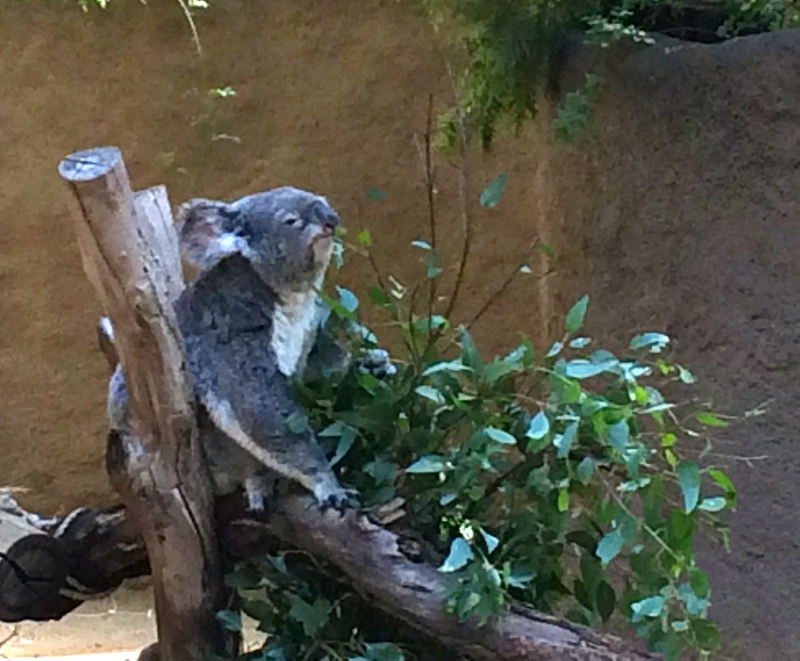 The LA Zoo also houses a number of koalas, who sleep 16-20 hours a day–as do koalas in the wild–because their diet of eucalyptus requires so much digestion time. Are they really less happy sleeping in the shade of a eucalyptus tree in Los Angeles than in the Australian outback? Same goes for Reggie the alligator. Inside his enclosure, he does pretty much what alligators do: bask in the sun and eat, albeit without hunting for his food. What “true behavior” would we like him to exhibit? Stalk, capture, and eat a small mammal–like that toddler leaning against the enclosure fence? As for the new(ish) elephant habitat, I’m agnostic. It’s much larger and more stimulating than the old barn-like exhibit, yet Billy continues his neurotic davening, repetitively bobbing up and down, while the girls, Tina and Jewel, do a lot of standing around. Unfortunately, alternatives to captivity i.e., life in the wild, are diminishing due to habitat destruction. Corporate greed is responsible for much of this encroachment; the desperation of small farmers fuels still more. It takes a BIG effort to turn a population from poaching to protectors. And what if those animals we—safe in our First World habitats—would like to see protected are predators? Who is willing to take the place of villagers beset by tigers? Which brings us full circle, back to San Diego’s tigers. Their new habitat, the letter-writer scoffed is not for them but for “the general public’s entertainment.” Perhaps. But I can’t think of a better way to stimulate Americans–whose consumption of 25 percent of the world’s resources is behind the greed that fuels habitat destruction–to support conservation efforts so that we don’t arrive at the point where the only place “wild” animals exist is in zoos. N.B. The Los Angeles Zoo raises money for and actively participates in a number of programs to preserve endangered species. You are currently reading Zoo blues at Real in L.A..